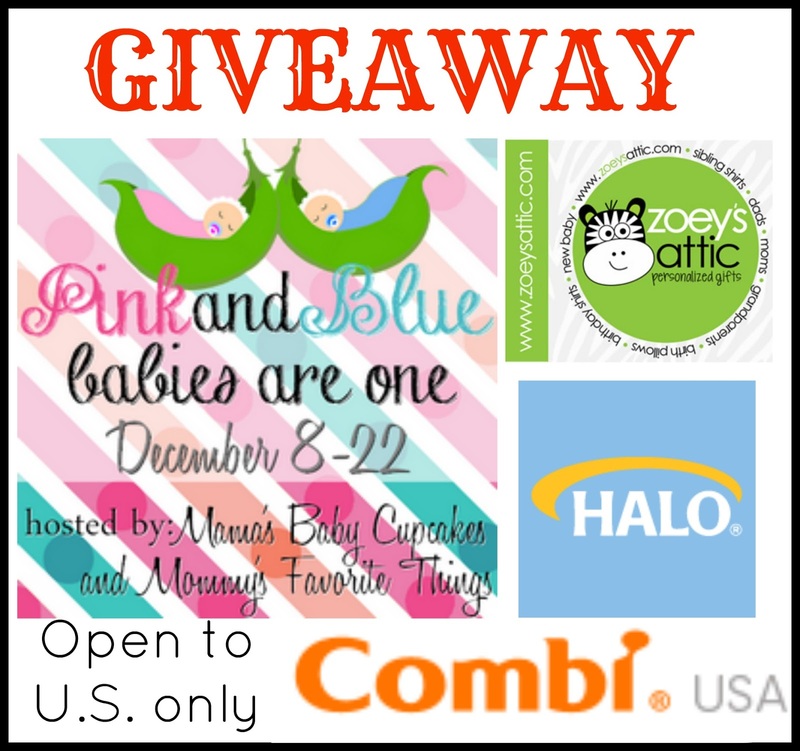 Welcome to the "Pink&Blue: Babies are One" Giveaway Hop hosted by Heather from Mommy's Favorite Things and Michelle from Mama's Baby Cupcakes. Last December we celebrated the birth of Michelle's daughter and Heather's son, and now they're turning ONE! In honor of their birthdays, this hop has a toddler theme, which means anything family friendly is up for grabs for the kiddos 1-4yrs old! Each blog has a minimum prize package of $25 per winner and after visiting my giveaway, make sure you use the linky below to take a look at the other blogs to see what they have to offer for you! For this hop's Grand Prize, Michelle has brought you three great sponsors. First up is Zoey's Attic Personalized Shirts $35 gift card, and Erin offers a variety of items for special occasions and they can be personalized with names, dates, and other milestones. Next you have Halo Sleepsack and their Early Walker wearable blankets. They offer your child the warmth and security of a SleepSack as well as unique foot openings for more mobility when awake. 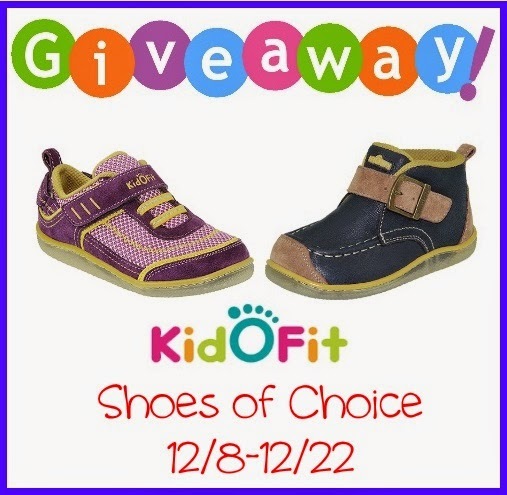 Winner will receive two Early Walkers in boy/girl/neutral colors or prints. Last but not least is Combi USA and their High Chair. The five-position height adjustment allows your child to be positioned properly at any table and the three-position, one-hand-reclining seat will ensure that your child stays comfortable during meal time. It also folds for storage and comes in three colors. Winner gets to choose their favorite color choice! Total Value for this Grand Prize is $269, so enter at Mama's Baby Cupcakes!! Here on Mommy's Favorite Things we have KidOFit! They are offering a pair of shoes of choice for the giveaway! We received the Leo Navy Blue boots and my son and I LOVE them so much! What sets KidOFit apart from the hundreds (thousands?) of other kid shoe companies, is that they have a clear sole. You take out the insole and you put the shoe on your child and you can clearly see where their toes come to the end. So it's visible to see how well they fit your child and when you need to size up! The Leo boots we got are so wonderful!!! They are made of high quality material and craftsmanship, they are super flexible and move really well with my sons foot. Plus they have velcro which gives them a nice wide opening for him to get his foot in and he can easily put these on and off himself, which gives him that sense of independence that he needs. 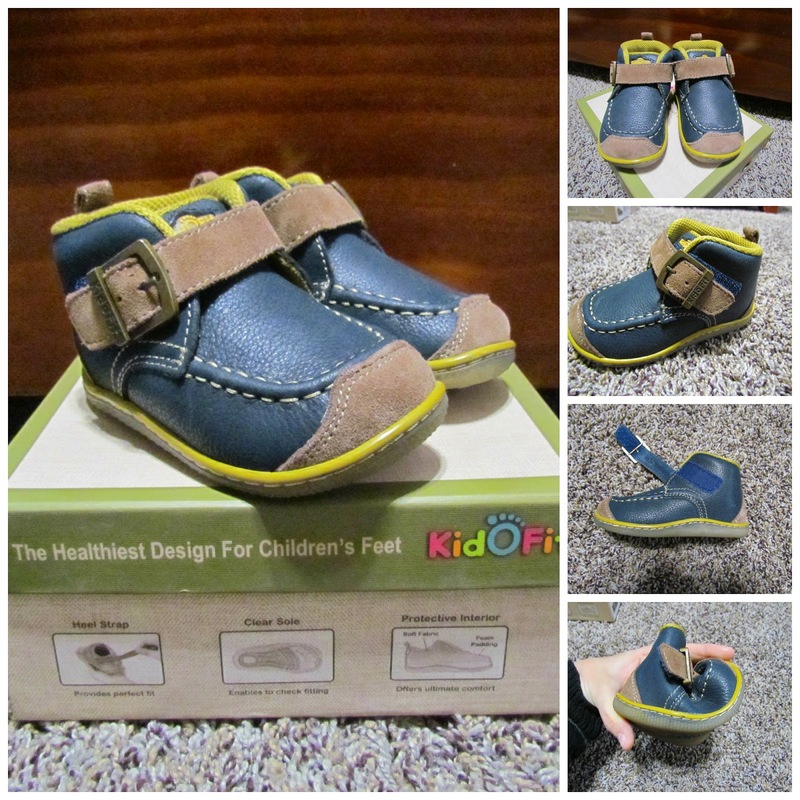 KidOFit features a wide toe for wiggle room. 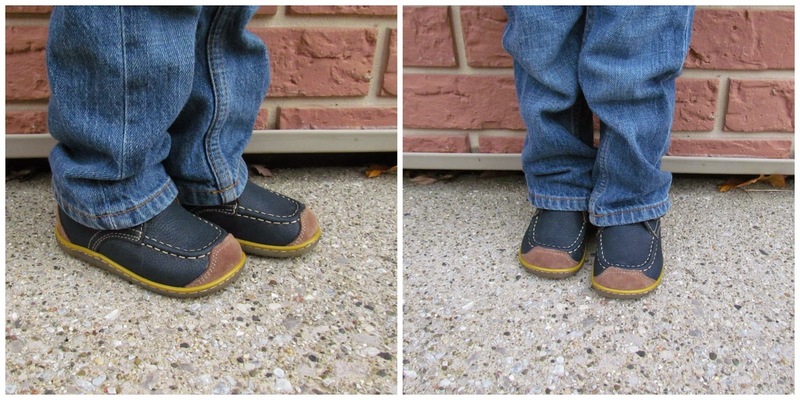 When you walk your toes separate and this is really important in kids shoes so their feet can grow the right way and so they can feel the ground as they walk. So being flexible and having wiggle room are both important in kid shoes. I'm glad KidOFit fits the bill. Each pair of shoes comes with 2 insoles as well. A thicker pair and a thinner pair. You can combine the 2 to take up more room in the shoe or you can switch them out accordingly. This makes the shoe fit longer as it gets more snug. The sizing is pretty dead on. Emerson is between a 6 and 7 depending on the brand. I used the chart on KidOFit's site and it seemed the 6.5 was pretty accurate. Above was pictured a size 6 (accidentally sent that instead of a 6.5), but I sent them back and got the 6.5 and they have just a tad more growing room. With socks on the 6's were JUST fitting him. So I'm glad I got the 6.5! They have so many styles! In sizes from Infant 4 to toddler 12. Price: Shoes are $42-$65. The ones we got are $59. Mama's Baby Cupcakes, Mommy's Favorite Things and the "Pink&Blue: Babies are 1" participating bloggers are not responsible for sponsors who do not fulfill prize obligations. I would choose the Dahlia in red. I might choose the Leroy- Blue shoes for my grandson! The Boys Yves in navy blue for my grandson. I want the tulip shoes in purple. I think I'd get the Fleur Pink baby girl shoes. I love the theo brown shoes for baby boy! If I won, I would choose the Sid - Brown - for my little grandson Jack. I'd choose the Maui - Green Model #153. I think I would get the Azure mary janes for my daughter. I really like the Yves - Navy Blue for my grandson. this is an awesome giveaway. I might choose the Beach Walk Pink if I win! id love the beach walk green! I would choose the orchid purple, my girl wants everything, literally, to be purple! I love the Chantal - Turquoise, so cute! I'd really like to get the Lily shoes in Pink- my daughter would love them! The Yves Navy Blue would be cute for baby number 3. We would have to hold onto them for a bit before he could wear them! The beachwks are pretty darn cute! I would probably choose Theo in brown. Model #675 for my granddaughter. I know she would love them.